Water treatment is a critical factor in any residential, commercial, industrial, or marine setting. Improve your efficiency, reduce corrosion and scale, and eliminate negative environmental impact with our chemical-free treatment solutions. If you have issues with your water system's efficiency, there is likely a buildup or corrosion. For example, silica can create a glass-like coating inside a hot water system. 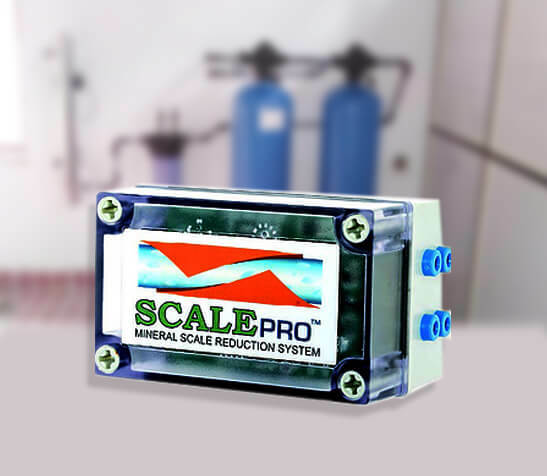 ScalePro offers a complete line of electronic water scale reduction products that use no chemicals or salt to prevent calcium carbonate (hardness) deposits on pipe walls, heating elements, and plumbing fixtures, including toilet bowls, dishwashers, faucets, and shower doors. If you are concerned that your water supply is unsafe to drink, no matter where your water comes from. You need to have your drinking water tested for specific contaminants conducted by a local water professional for advice and information, such as those at International Water Treatment. International Water Treatment offers a complete line of water treatment products to ensure that the water that enters your home or business is the cleanest and safest possible. We ensure that your pipes and plumbing fixtures are free from any contaminants that can harm you and your loved ones.